The Center’s faculty are drawn from a mixed pool of hands-on practitioners, designers and academics. These include leading Japanese garden artisans descended from families who have gardened for centuries, as well as academics from top U.S. universities and practitioners of garden-related arts. 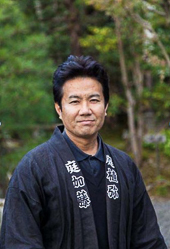 Tomoki Kato is President of Ueyakato Landscape Co., Ltd. a garden company that has been creating and fostering gardens in Kyoto for 166 years. An eighth-generation member of a Japanese garden artisan family, he naturally absorbed the essence of the Japanese garden while watching craftsmen in Nanzen-ji Temple Garden, his favorite childhood playground. He joined the family business after graduating with a degree from the Faculty of Horticulture, Horticultural Economics and Technology of Chiba University. Since he started leading Ueyakato in 2003, it has grown to become one of Kyoto’s highly-recognized landscape companies. His team takes care of numerous gardens, including some of Japan’s national scenic spots, such as Nanzen-ji and Murin-an. Kazuo Mitsuhashi studied under Isao Yoshikawa, a prominent Japanese garden scholar and designer, student of Mirei Shigemori. He also took garden design mentorship with distinguished 20th-century Japanese garden leaders, Kenzo Ogata and Sentaro Iwaki. He specializes in the construction and maintenance of the Tea Garden and published a number of books on Japanese gardens. He is also a member of Taiami research. 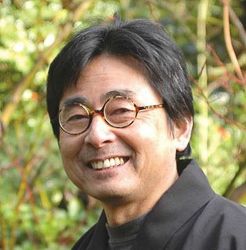 He has been a board member of the Garden Society of Japan for 16 years, during which he has been instrumental in organizing the First International Japanese Garden Symposium held in Portland in 1996 as well as seven subsequent international symposia. Kimiko Gunji is an Associate Professor of Japanese Arts and Culture at University of Illinois at Urbana-Champaign, where she created the programs of Japan House. 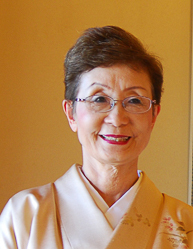 She is a full professor of the Ikenobo Ikebana School in Japan and holds the Chamei (tea name) Souki from the Urasenke Tea School and a teaching certificate of Japanese classical dance. In 2004, she received a commendation in commemoration of the 150th Anniversary of the United States-Japan Relationship from Foreign Minister Junko Kawaguchi. Jan Waldmann began studying Chado, the Way of Tea, in 1971, while living in Japan. Over the years, she has studied in both Japan and America, receiving her teaching degree from Urasenke Foundation in Kyoto, Japan in 1989. She specializes in blending the traditional philosophy and movements of Chado with contemporary views of the ceremony itself. She is currently a visiting instructor at Lewis & Clark College’s East Asian Studies Department. Takeshi Kato is a garden craftsman at Ueyakato Landscape Co., in Kyoto with 20 years of field experience. He is currently in charge of Tairyu Sanso Garden, a designated national beauty spot in Japan. He learned traditional restoration skills at major historic garden sites such as Katsura and Shugakuin Imperial Villas, and served as an intern at the Portland Japanese Garden in 2015. As a “head of Sakutei,” he is involved with various modern Japanese garden projects. This includes Hoshinoya Tokyo, a well-known luxury hotel by Hoshino Resorts as well as other projects at Arashiyama-so. He has developed unprecedented technical processes and also attained the domain where craftsmanship can be maximized. At the Imperial Village Garden or Nara, he was in charge of the technical development of a conversation restoration project of the garden ruins of the 8th century. He approaches his work with an enthusiasm for discovery and a playful mind, always seeking to bring innovation to traditional skills. Tomohiko Muto is a staff gardener at Ueyakato Landscape, where he plays a key role in quality control of Japanese garden management. With a high level of skill and experience in the traditional garden techniques applied in daily management, he is responsible not only for the maintenance of gardens, but also the stewardship of landscapes ranging from natural forests to rural fields. His attention to detail allows him to respond with delicacy and care to changes in the landscape — resulting in healthy, thriving sites with enhanced scenic value. 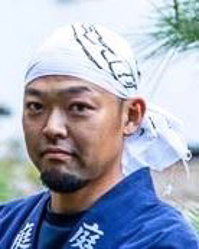 He serves as a head gardener at the Keihanna Commemorative Park in Kyoto. Masa Mizuno has worked as a landscape contractor in the Portland area since 1982, including serving for four years at the Portland Japanese Garden as a garden technician. His work focuses on designing and maintaining residential gardens that incorporate Japanese garden ideas into the naturalistic style typical of gardens in the Pacific Northwest. 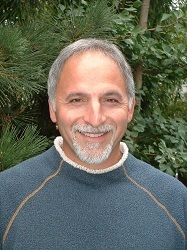 In his practice and his teaching work, he focuses on aspects of gardening such as maintaining the proper ratio of open space to allow plants to assume balanced proportions in relation to the other landscaping elements of rocks, hardscaping, herbaceous plants, and ground cover. Inspired by his knowledge of authentic gardens in Japan, Mizuno believes that garden plants should be pruned in a way that enables each to live in a comfortable space and that the gardener should continually be paying attention to the need in the garden for removal or transplanting of plants that are no longer in the right place. He takes considerable pride in maintaining gardens that he has designed and built and in maintaining the design’s integrity for the duration. Michael Ellena, President and Owner of Ellena Gardens Ltd.
Michael Ellena has been a landscape professional for 40 years, designing, building, maintaining and managing gardens. He is a graduate of Illinois State University with a B.S. in Art. His study of ceramics was his introduction to the Japanese aesthetic. He served as the General Manager of Anderson Japanese Gardens in Rockford, Illinois from 1984 to 1997, transitioning the garden from a private residential garden to a public garden. During that time the garden won 2 national awards, the American Association of Nurserymen’s National Landscape Award presented at the White House by First Lady Nancy Reagan and The American Association of Botanical Gardens & Arboretums Environmental Improvement Grand Award. He relocated to Portland, Oregon in 1997 to work with Hoichi Kurisu at Kurisu International, Inc. from 1997 to 2004 in many capacities. In 2004 he started his own firm, Ellena Gardens Ltd., specializing in specimen pruning, high end residential landscape maintenance and garden design. 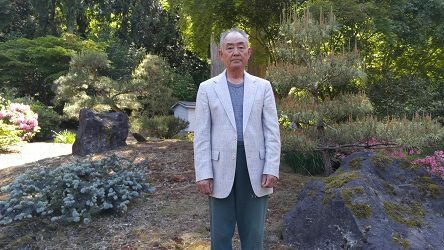 The bulk of his time these days is spent pruning 75 – 100 year old Japanese maples and pines in wonderful residential gardens in the Portland metro area. 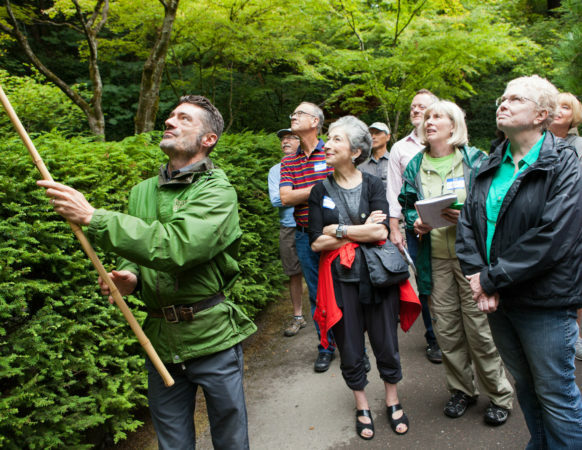 He is in his 10th year serving as a Trustee on the Board of the Portland Japanese Garden and has served on multiple garden committees since 2006. Mark Unno is associate professor in the University of Oregon’s Department of Philosophy, where he teaches courses in East Asian Religions, Japanese Buddhism, Classical Japanese Buddhism, Early Chinese Thought, Comparative Ethics, Buddhism and Psychotherapy. 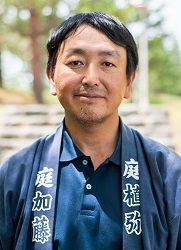 Professor Unno’s interests lie in Medieval Japanese Buddhism, specifically in the relation between intellectual history and social practices. He also researches and has published in the areas of modern Japanese religious thought, comparative religion, and Buddhism and psychotherpay. 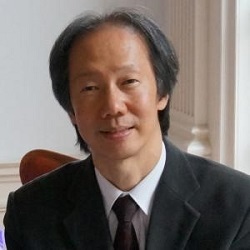 He is the author of Shingon Refractions: Myoe and the Mantra of Light, a study and translation of the medieval Japanese ritual practice of the Mantra of Light. He is also the translator of Hayao Kawai, The Buddhist Priest Myoe-A Life of Dreams (Lapis Press, 1992) and author of over a dozen articles in English and Japanese including: “Questions in the Making – A Review Essay on Zen Buddhist Ethics in the Context of Buddhist and Comparative Ethics and “Divine Madness-Exploring the Boundaries of Modern Japanese Religion,” in Zen Buddhism Today. Desirae Wood is a Project Manager and Landscape Architect in Training who works with the Portland Japanese Garden to facilitate garden improvements. Desi knows how complicated projects can be dealing with the diverse input from gardeners, contractors, and city departments. She believes that through a balanced study of Japanese cultural arts such as Chado and Ikebana, and a hands on approach of maintenance and construction, projects can be successfully held to the highest standard. Desi has managed the construction of the recent garden expansion at the Portland Japanese Garden, co-designed and curated the new Chabana Research Garden with Garden Curator, Sadafumi Uchiyama, and manages the new Bonsai Collection. Currently she is pursuing further knowledge on the history and modern day application of Chabana, green infrastructure based on Japanese gardening aesthetics, and the habitat value of ecoroofs. 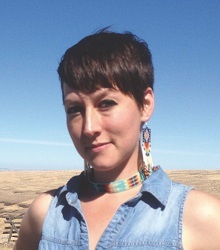 Trained as a Japanese gardener and master gardener, Desi also holds a Bachelor of Science in Landscape Architecture from Colorado State University. She has presented at multiple international conferences including the upcoming 2017 Cities Alive Conference on the topic of habitat ecoroofs as a tool to partially restore the loss of urban biodiversity and habitat. Sadafumi Uchiyama, Garden Curator of the Portland Japanese Garden, is a third-generation Japanese gardener and landscape architect. His family has been involved in gardening since 1909 in Fukuoka Prefecture, Japan. His training started at a very early age, first under his grandfather, father, and uncles, and later with his elder brother. 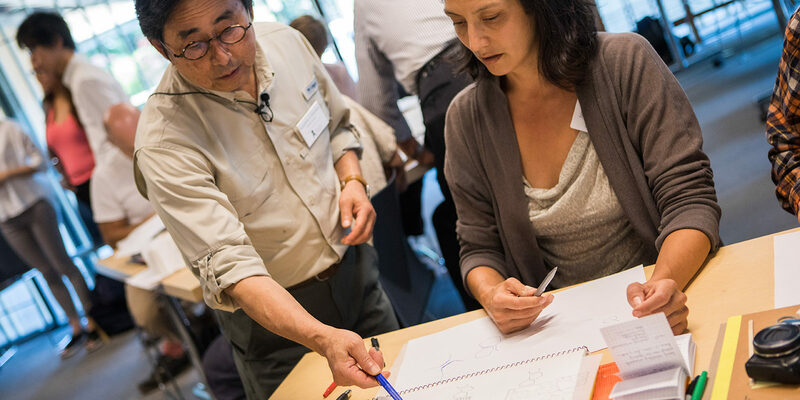 Since his arrival in the US in 1988, Uchiyama received his Bachelor’s and Master’s degrees in Landscape Architecture from the University of Illinois at Champaign-Urbana. Traditional apprenticeship in Japanese gardening combined with the formal training in Western landscape architecture has allowed Uchiyama to design and build a unique and wide range of private and public landscape projects. Two of his representative projects include the renovation of Osaka Garden (the site of the Japanese Government at the 1893 Columbia Exposition) at Jackson Park in Chicago and the renovation of Shofu-en Garden at Denver Botanic Gardens. 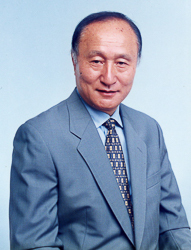 He was instrumental in the development and establishment of the North American Japanese Garden Association (NAJGA) beginning in 2009 and has been a Charter Member of the NAJGA Board and its Editorial Board since July 2011. 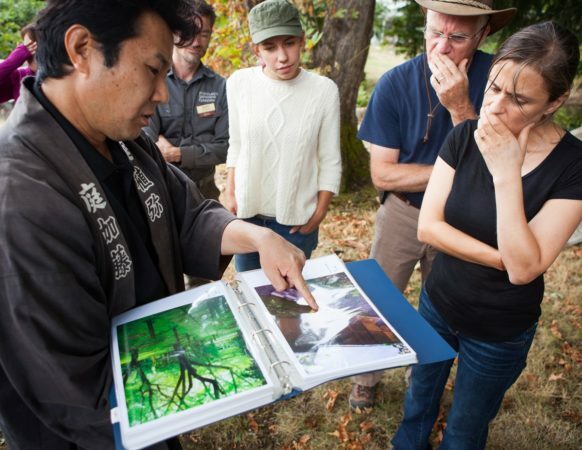 As evidence of his dedication to giving back to the community, Uchiyama has taught landscape design courses and lectured on Japanese gardening at colleges and public gardens in various parts of the country. He has published in the Journal of Japanese Gardening, Garden Design and Fine Gardening as well as locally in Oregon Home and Inspired House. In 2018, Uchiyama received a prestigious Garden Design Award from the Garden Society of Japan for his work on the Garden’s new expansion — the first time such an award has been given for a project outside of Japan. Diane Durston is known internationally as the author of numerous books, essays and articles on the culture and people of Kyoto, where she lived for eighteen years. Her book Old Kyoto, first published in 1986, is now in a third edition and 17th printing. The New York Times has referred to it as a “Japan classic.” Her other books include Kyoto: Seven Paths to the Heart of the City, an introduction to seven historic districts in Kyoto. Her book Wabi Sabi was published in 2006. Durston has lectured widely in Japan, New York, Los Angeles, Boston, San Francisco, Seattle, and Portland. During her time in Kyoto, she studied Japanese art and language and went on to develop on-site cultural programs introducing Japanese art, culture, religion, history, and gardens for the University of Pennsylvania, the Whitney Museum, the Yale Galleries, the Metropolitan Museum of Art, and other museums and universities in the US. For over a decade, she served as Director of Asian Cultural Programs for The International Forum, for which she developed annual cultural seminars in both Kyoto and Shanghai. 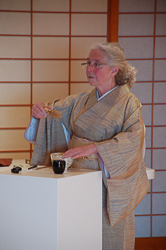 Since returning to the US in 1996, Durston has served as a consultant for a number of organizations, including the National Gallery of Art in Washington, DC, where she produced two separate month-long performing arts festivals in conjunction with the openings of the special exhibitions “Edo: Art in Japan 1615–1868″ in 1998 and of “Golden Age of Archaeology in China” in 1999. From 2002–2006, Durston was Special Projects Director and later Curator of Education at the Portland Art Museum, before coming to the Portland Japanese Garden in 2007. Kristin Faurest completed her landscape architecture studies at Corvinus University in Budapest, Hungary. She also worked and studied at the Royal Botanic Gardens, Kew, England, where she studied at the School of Horticulture and helped maintain the garden’s Japanese landscape. 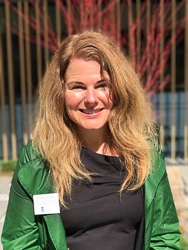 While managing her own design firm for thirteen years — designing educational gardens, private urban gardens and corporate landscapes – she taught master’s of landscape architecture candidates at the University of Applied Sciences in Nurtingen-Geislingen, Germany. With extensive international teaching and research experience focusing on the connection between culture and landscape, Faurest has published widely in journals such as Topos: The International Review of Landscape Architecture and Urban Design and is the author, co-author or editor of several books, including most recently Community-Built: Art, Construction, Preservation and Place (Routledge, 2017). 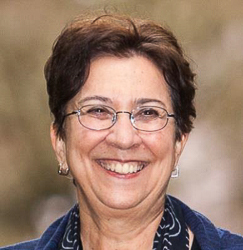 Dr. Faurest joined the Portland Japanese Garden in 2016. The Center was shaped and continues to grow with the guidance and support of an advisory council of academics, designers, arts administrators and other professionals. Not all listed faculty are teaching at any given seminar. For an event-specific faculty list, please consult [email protected].